The first question I would like to ask is about the new telecommunication law and the setting up of an independent telecom regulatory authority, can you tell us about the new developments regarding this? If you look at them as separate networks, Almadar has recovered about 95% of its pre-war status, and Libyana has recovered about 97%. Since we started at the Ministry in the beginning of December, we have established a committee of people from different backgrounds for example legal or technical, of people here in Libya with experience in this sector and also people from foreign law firms, and what we said is this: we need to review the existing telecom law which was made to secure a monopoly for one group of people and we need to ensure that this monopoly can no longer exist. We want to promote the private sector, we want to make sure that this telecom law is up to the international standards and we want to make sure there is an independent regulator because the monopoly from the previous regime was very strange and decisions were being made and licenses given all from the same place. So we have started this process, after 90 days we made the first draft, we shared it with the public during the telecom event of the year in February, we got feedback from the private sector, we reviewed it once more and discussed it with the telecoms committee in the GNC (General National Congress) and we are now at the final stages of putting together the final draft. We will soon be presenting it officially to the government, who will review it from a legal perspective and then officially give it to the GNC. So in your opinion, what can we expect from the new Telecom Regulatory Authority, what are the different models that it could be based upon? 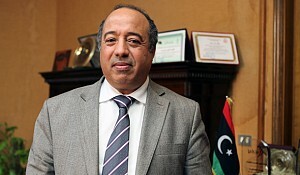 Let's say for example there is a lot of talk about establishing a third license for a third operator in Libya, well with the existing law we cannot do that, but in the new law this has been taken into consideration. In terms of the private sector's participation in the telecom market specifically; we cannot continue the way we are today. Today we have a monopoly in this sector, everything is done by the government and we can see how the ICT sector affects the country's GDP so we want to make sure that the private sector is there in this market. With the new law, private sector participation can be anticipated but at the same time we have to make sure we meet the interests of the people as well. I will not accept a third operator to come to Libya and only operate in the four main cities where the majority of the population is. I need to provide these services to all Libyans or at least to the great majority of Libyans and this is one of the things that this law will secure. 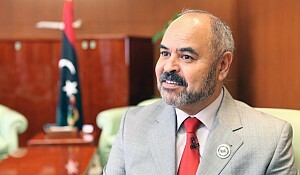 I want to secure the interests of the subscribers and the interests of the Libyan government, and at the same time I want it to be easy for the investor to feel secure about their investment here in Libya. This is what the telecom law is focusing on. Regarding investments, there is investment law number 9, how difficult is it to invest in the telecom sector? Right now it is not difficult; we have already started giving licenses to the private sector. In the last few months we have given around 22 privatised licenses, we have given around 23 VSAT services licences; we have given fleet control to around 20 or 30 private companies for things like GPS as this was basically forbidden in the previous regime, so we have given licenses for that as well. We have given around 15 value added services licenses for mobile operators to offer things such as ring back tones, different SMS services etc. There is a lot of interest in the private sector in the telecom industry. How is the reconstruction of this infrastructure progressing? If you look at them as separate networks, Almadar has recovered about 95% of its pre-war status, and Libyana has recovered about 97%. The only problems we are facing right now are from some very big towers that were destroyed and will take time to rebuild; also we have some theft occurring in some remote areas where people have been stealing some of our solar panels, but that is it, we are almost back on track. In terms of the mobile operators: most of the infrastructure for the wire line is back, the fibre projects are back online, most of the government's ISPs are also back on track, the only issue we face is coverage in some areas when it comes to the two mobile operators that we have. Can you quantify the amount of investment that will be spent in 2013 and 2014? In 2013 we are going to be signing at least 2 major contracts for the modernisation of the two mobile operators. These are the two biggest projects and we also have quite a few other smaller projects. For Libyana, we estimate around 230 to 250 million Libyan dinars of investment and it will be around the same for Almadar. Before the war the network was fragmented, there were different vendors in different areas with no real logic or consideration of the country as a whole. We are going to modernise the whole network: core, billing, value added services, radio and transmission. We have almost completed the evaluation for Libyana and we are estimating this to need around a quarter of a billion Libyan dinars. 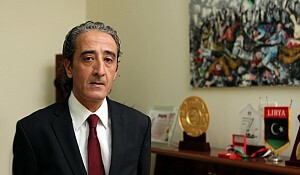 For Almadar, we have just started the same process; we may have the signing of the letter of intent of the contract sometime in June. This will be on the same scale as for Libyana. When it comes to fiber, we are almost done, most of our projects are back on track, and some of them are 60% or 70% completed so there are no major contracts in fiber yet. In the wire line we are going to start some pilots for FDT (Fiber Distribution Terminal) fiber to the home technology, we are going to invite three or four of the major vendors, give them certain areas and set them some KPIs (Key Performance Indicators) and if they reach these KPIs we will buy the service from them. Then based on the technology and the experience we have, for example with the Fiber to the home which at the moment we only have in one location in Libya, we will start spreading this technology. This will be a huge project, just the civil work we expect to cost 1 billion Libyan dinars, to connect fiber to every single home. I do not expect this one billion Libyan dinars to be spent during this coming year or two; it will be spent over 5 years. We cannot just go around putting fibre cables in everywhere, but wherever there is a new property development we will install them, or wherever there is a business project they will also be installed, thus we will prioritise our spending in this area. Libya is one of the countries with the highest GDP per capita in Africa; it should be the richest country in Africa, what is the potential of the telecom market of Libya? Right now it represents about 2% of the national GDP. However, when we start promoting the private sector and when we have them involved with us, this will change. One of the things we have done recently in anticipation of this new law was to invite the private sector to help us develop the telecom sector. So we are going to create a fund which will basically help the private sector if they are interested in working in remote areas. At the moment if someone wants to set up an ISP in an area which is 1,000km away from here, just the transmission fees alone are very high for them to really make that business profitable. So we are going to set up some sort of a fund under the holding company of the telecom sector to help the private sector develop these remote areas. And of course this will create a lot of job opportunities for the new generation and will create new revenue for the country thus increasing the contribution of the telecom sector to the GDP. Do you expect the telecom sector to become a substantial contributor to the national GDP? Of course. At this stage we cannot really estimate how much we will contribute because as I said we are recovering from a war, we are restructuring the sector, we are reviewing the telecom law, and when we started we even restructured the Ministry itself. The organisational structure within the Ministry before was not efficient at all. So we have to restructure the Ministry, the holding company, the telecom companies themselves in the telecom sector, and then we can start talking about our contributions. 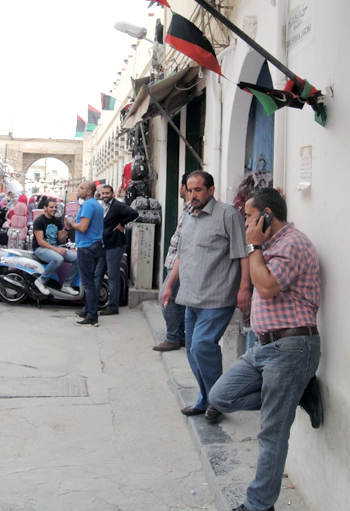 Let's talk about liberalisation and privatisation, before the revolution the two telecom companies were supposed to be privatised through the stock exchange, what have been the latest developments regarding the privatisation of Almadar and Libyana? Yes, there was talk about this in the previous regime, but it was not very serious. This is something we will consider once we have reorganised the sector, because now I have 8 companies that are almost competing against each other with no real competition because in the end they are owned by the government. So once we have reorganised the companies and the new law is in place then we can look at the option of putting some shares on the market. How are you going to go about reorganising these companies? Is it going to be top down, bottom up…? We have a holding company; I am the head of the general assembly for the holding company which owns all of these 8 companies. We have hired two consultants, one to do the really detailed work of looking into each company; what they are doing, what technology they use, what kind of organisational structure they have etc. to compare against all the others and then see where we have duplication of technology or workforce to then come up with a proposal. We have also consulted with another company just to make sure that this one is doing the right thing. Why are we doing this with two consultants? Some people may consider it to be a waste of money but we want to have more than one opinion because whatever restructuring we do now will affect the telecom sector for many years to come. We started this consultation four months ago. We are already finalising the report, hopefully by the end of this month we will have a clear picture of how the telecom sector should be, in terms of which companies should merge, which companies should have which technologies etc. For example at the moment there is a project called NGBN (Next Generation Broadband Network) and three of our companies have contracted vendors to do this same project which doesn't make much sense. So we are reviewing all of this and once we have done this then the sector will be organised. The Ministry has already finalised the reorganisation of the structure, this has been approved by the Prime Minister's office and now it is a question of putting the right people in the right places. Then of course we will continue developing the right resources if we don't already have them and we will create a competence development plan for the companies and start from there. 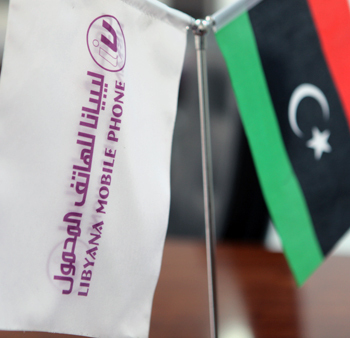 In your opinion, what would be the ideal way to privatise these two telecom companies, Libyana and Almadar? I do not expect that this year we will go for full 100% privatisation for the two mobile operators. However if we finish the restructuring, then we can put some shares on the market. In the end the holding company will still own the majority, at least 51%. We are doing a lot of investment and as a country we want to ensure that the returns on these investments are valid. To tell you the truth we have other things to worry about at the moment; we need to restore the services and ensure customer satisfaction, privatisation is fine if there is a valuable income to the country but it is not really our target for 2013. What would be the theoretical value of these two operators? What are they worth? At the moment nobody can really tell you how much they are worth because in the previous monopoly different companies were using different company's assets without any real financial paperwork between them. This is one of the things that we want to gain when we use the consultant to restructure the sector; to tell us clearly where the boundaries are, who owns this building which is being used by this company which is providing a service to another one. That is why the restructuring is a priority; we need to see clear boundaries. Then we can start to understand what the values of these companies are so that if we were to put it on the market we can understand how much we should expect for it. 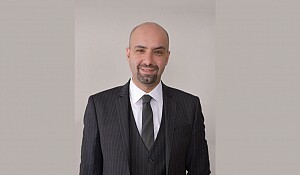 Additionally, if I am going to go to the market and let's say sell some shares of Libyana or Almadar, I want to really maximise my profit from them and to do that I need to make sure that each company is really working up to standard in terms of their financial books, how they are working inside the company etc. If I want to attract an investor, the first things they will look at are the books, how the company is operating, the turnover, the operational expenditures etc. So we want to fine tune this before we go to the market because we want it to be very attractive to the investor to be able to get as much as possible for these stocks on the market. At this stage this cannot be done. What is the Ministry doing for innovation in terms of the newest technologies such as LTE, 4G, and 3G etc.? Starting with mobile broadband, as I mentioned earlier we have a few projects for FDTH, which is the acrylics and wire team for the fibre technology. 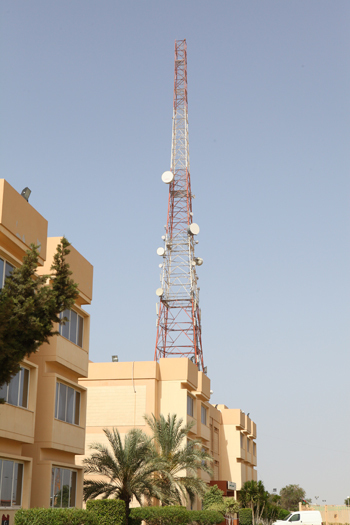 When it comes to mobile broadband, the two new projects for Libyana and Almadar will be based on HSBA+ and at the same time we will give them a temporary LTE license. We are also discussing the possibility of a third operator on the market, and to really make it attractive to a third entrant we want to make sure that they will get a part of the HSBA+ or the LTE technologies. So the two companies' projects will be based on HSBA+ with some LTE as a pilot and for the new entrant we will make sure that they also get some of the LTE. How do you expect all these projects and development to affect the internet penetration rate and the mobile internet penetration rate? Of course it will increase it dramatically. 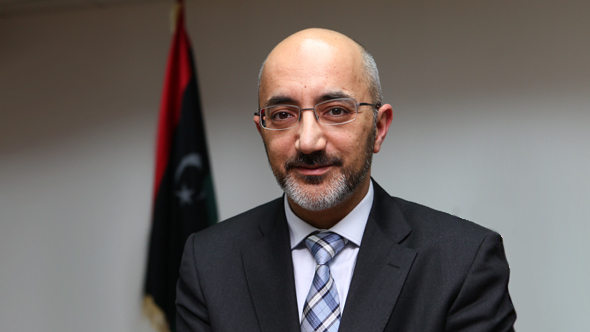 In terms of Libyana at the moment, we will start to have around 6 million broadband users. Right now they have around 4 million GSM/3G subscribers and with the new project they will get around 6 million, there will also be around 4 million subscribers with Almadar. When these two projects are finalised with the HSBA+ technology then we can say that we will really increase the internet penetration in Libya. At the same time we are just now finalising a project with LTT for WiMAX technology which is targeting around 400,000 additional subscribers covering more than 110 new cities, because at the moment we only have WiMAX in 18 cities. We are targeting around 139 cities in total. This will increase internet penetration very much. Regarding the prices, how difficult is it to price these products given that everything belongs to the Ministry? There is not a clear cost model yet. We have asked each company to start creating their own cost model. If you want to price something, you have to understand how much it costs first. We have started this with the LITC which is our international gateway and we have found that there is room for a lot of improvement in decreasing the prices for the end user. We found that out of the top 20 destinations, in 17 of them we can reduce the prices by up to 50% and we will still obtain very good profits. We are doing the same with the wire line operator, with the two mobile operators and with LTT which is the ISP. We won't really be talking about reducing the prices until we really understand the costs of each service inside each company separately. What are the major challenges and problems that you are facing at the moment? Is it customer satisfaction with the services these companies offer, is it the pressure perhaps from the parliament? Our major issue right now is customer satisfaction and most of our projects right now focus on this. We have a very low internet penetration here; our mobile coverage is not really 100%, so customer satisfaction is a top priority for us. We have created a dash board with different actions for securing, enhancing and developing the network. We don't have any problems with parliament or the GNC. In fact we are working towards the same targets. We are facing problems with the existing law, we can't really manoeuver easily with the existing law, and that is why we have started to create a new one as it will take time for it to be approved in the country. Working within the existing laws is one of our obstacles but we are handling it. We expect at least a 15 to 20% minimum increase in the internet penetration rate and we are targeting to reach at least 50 to 60% by the end of 2014. We have just increased to around 20,000 subscribers for the first phase of ADSL and we are targeting another 60,000 by the end of this year. ADSL services operates on the copper network so we did a campaign whereby we created a call line and asked for everyone who has a problem with the copper network to report it either through the webpage, an SMS or a phone call and we will fix it. Once we have fixed the copper then we can improve the penetration with ADSL and for that LTT has installed around 20,000 new ADSL lines and has included 30 new cities in Libya. The second phase of this will target 60,000 subscribers. We want the people to use ADSL at the moment, everyone want to use WiMAX, which is fine but until that project is finished, why not use ADSL? We will double the quota on the ADSL lines with the same price as before until the WiMAX project is finalised and is available. All these products are offered by the two major operators or is there a separation? WiMAX is only offered by LTT. We have not issued any new licenses except for temporary ones for the government owned companies, for private sector companies we can give licenses no problem. LTT has a license for WiMax and Libyana has a license for 3G. We have granted a 3G license to Almadar also so that they can carry out their HSBA+ projects. We are trying to manage our companies because we don't want to give our companies all the licenses there are because this will be as if we were fighting the private sector and we don't want that. So we are trying to limit the licenses we give to our companies to what they have right now or what they need now to really increase their service levels. Let's talk about corporate social responsibility; of course the telecom sector plays a big role in the economies of developed countries, if you can increase the internet penetration rate by 1%, it generates jobs, small start-up companies, innovation, knowledge economy etc. What is your take on the corporate social responsibility, what are you doing in this regard? We have quite a few projects in place and we are doing them through different companies. We have a project for rebuilding school classrooms that were damaged during the revolution; Almadar is taking care of that project. We have the National Children's Day, which is basically sponsored by Libyana. We have the elderly home help also sponsored by Libyana. We have a pilgrimage to Mecca, which was sponsored by Almadar last year. 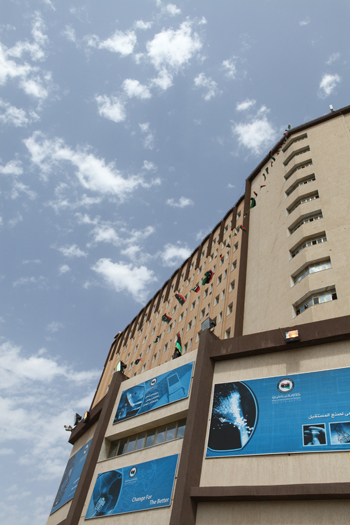 We are setting up Wi-Fi in five universities around the country, this is being done by Aljeel. We have internet and hosting packages for NGOs, sponsored by LTT. We are also looking into a service for the hearing impaired which will be done through Libyana's 3G service with their video calls. So we have quite a few ongoing projects right now. In addition, one of the departments that we have established within the Ministry is for entrepreneurship and the incubation of new ideas, businesses and students and this is something that we are currently working on. Also we are discussing the possibility or the feasibility of starting a telecom academy in partnership with one of the leading technical universities or colleges around the world. We are thinking of offering some courses mainly in ICT focusing on the people we have working in the sector because we have around 13,000 people that we need to offer further training to and also to the new graduates to get new talent in our companies. Yes, but let me be frank, I am not looking to be recruiting in the telecom sector right now, as I said we have around 13,000 employees, our target is to educate them, to increase their competence levels, and give them a better chance if they decide to leave our companies. We are not looking for new employees, what we want is for our employees to be more efficient. When it comes to new graduates, we want to offer them sponsorship, the right place to learn something new or to develop new software, in a place hosted by the Ministry, to increase their employment possibilities. Those are the things we are working on, increasing the competence within the sector and also to sponsor outsiders to have good job prospects. You have also put into place a special communications strategy for the Ministry, what are you trying to achieve with this and how are you trying to engage the communication stakeholders? We noticed that PR is not really our strongest point so we asked a few specialists in the field of PR and media to come and help us. Our main goal is for them to tell the public about what the Ministry is doing. Most of our projects will not happen overnight, they will take a month or two at least, so we want to increase the people's awareness of what the Ministry is doing for them. It is not as we are doing nothing at all. We cannot be out of communication with the population and then in a few months' time announce certain things; people will not wait for months for us to fix their problems. We want to create clear communication channels with the public, through social media, Twitter, TV, radio, live broadcasts etc. to show what we are working on here at the Ministry. PR is very important. It is one of the reasons we are doing this interview! What is the expectation for the growth of the sector and the subsectors like the mobile line, fixed line and the internet? What percentage growth do you expect this year? This year in the mobile arena we don't expect great growth I would say a one digit number, because right now we have a 115% penetration rate so I don't expect much of an increase on that. However in internet penetration, I expect at least a double digit increase by the end of the year. We have 400,000 subscribers in WiMAX, however as I said our target and capacity is around 4 million at Almadar and our target and capacity at Libyana is around 6 million. We will create the network and the infrastructure, how many subscribers will pick up that service is hard to say at this stage. We expect at least a 15 to 20% minimum increase in the internet penetration rate and we are targeting to reach at least 50 to 60% by the end of 2014. Let's talk a little bit about the Ministry because most of your questions were about what the companies are doing. As a Ministry, we have mentioned our restructuring but I would like to mention one of the projects that we have established since we recognised the need for it, and that is the cyber security firm. We clearly identified that there is an issue with cyber security, the government networks are not really that secure, so we gave a proposal to the Prime Minister's office to establish a security firm and we were given approval to do this. We are now in the process of establishing this firm. We hope for it to begin operating by the beginning of May, between the 7th and the 15th of May. We are talking about a security operations server, a cyber-security emergency response team, and preparing the legislation regarding cyber security laws. So it is going to be one of the best things this Ministry has established. It is completely new, it doesn't really affect the end user directly, but it affects the stability of the sector and of the government. We also signed a contract a few weeks ago with PricewaterhouseCoopers to start the foundations for the E-Libya initiative. There is a high level steering committee headed by the Deputy Prime Minister with the participation of 6 or 7 Ministers and this committee is to oversee this specific project. The Price Waterhouse consultant will go into each Ministry and review their incomings and outgoings. For example, let's say for someone who wants to apply for a driving license online, we want to gather the information of what they need to do from all the various ministries, collect all this information and put it into a database and create a portal so that the end user can start applying for things electronically from remote areas. Since there isn't yet a very high internet penetration rate we are going to use the post offices, so we have started reorganising and modernising around 30 of them as a first step and we are going to define around 20 or 30 of the first services in the E-government. We are mainly targeting the private sector to help in this project. As part of this steering committee for the E-Libya, we want to establish three national data centres to host all of this data. Right before this interview I was with one of the vendors discussing different experiences in some of our neighbouring countries to see if we can start some kind of strategic partnerships with major vendors to help us when we are designing these RFQs (request for quotation) so that we can give them to our private partners to start these projects. How much would you spend on this? The consultancy contract is already signed so that information is already available. How much investment has been made on the E-government? I don't have the number right now. It's already budgeted and if I remember correctly there is about 50 million Libyan dinars spending this year for the initial phase. Of course this will grow when we start going into every Ministry, but for now we are only doing the central part. Each Ministry will be doing its own data centre according to a standardised process, so each Ministry within its budget will build its own data centre for its own internal infrastructure. 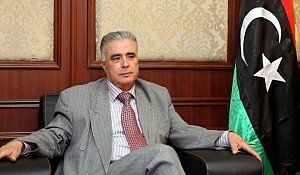 Do you have a final message to investors who might be worried about the security situation in Libya? What is your own take on this? 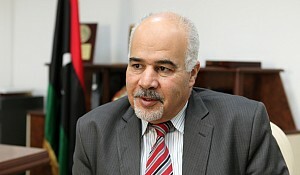 The security situation in Libya is improving. It does need further improvement, but there is a much better security control over the whole country now. You have probably heard what the Prime Minister has been saying in his recent speeches: security is one of our main concerns in this government and we are really focussing on it. Part of the Ministry's work regarding security is that we have established a public safety operator, mainly for the critical communication between the Ministries of Defence and Interior and between the Ministers themselves. This belongs to the Ministry of Communications directly so it is one way that we are participating in increasing the level of security in the country. Of course improving security will take time but it is improving every day. Right now most of the vendors who are operating in the telecom sector are back on track. We have operators here from Europe and Asia and I think all of the vendors in this sector are back and have been operating as usual for the past year. I mean the fiber projects are out in the middle of the dessert and they are operating again. There are expats working in the dessert even though everyone assumes the dessert is not safe. The issue of safety is relative depending on the person. All of our partners and vendors are working with expats on the ground all over the country. If you have concerns, as a Ministry we are happy to help.